I have completed the Stanford Open Knowledge MOOC, and am repurposing an earlier article I wrote, to be my final digital project for the Creating Track of the course. I would have loved to do something more creative, like a video, but have run out of time, so this article will have to suffice. The courseware has an overwhelming wealth of data, so I am only pointing to what I experienced as the highlights. We discovered the wonderful Alec Couros, who is a dynamic and fluid communicator on all things Open Knowledge, and his inspiring talk is here. We were introduced to the Seek > Sense > Share framework of learning, and Siemens’ Model of Connectivism, which is beautifully compatible with the Model for Information Literacy and Cultural Heritage for Lifelong learning that I developed in my book. I was thrilled to discover that my searching and development beyond the traditional library models is supported by these fluid models of open, contextual learning. I learned neat things such as how to synch all your Digital bits into one electronic business card at the About.me site, and was guided to a far better RSS feed programme than I had been using. The module on participatory digital citizenship, journalism and science, which bypass the traditional gatekeepers (and in many ways, barriers) of and to knowledge, opening the way for all people to participate was really excellent, and also shed new light on the subject of digital identity. Henry Jenkins enthused and inspired in his lecture here and this critique by Fuchs was an an excellent counterpoint to Jenkins, opening the way to consider a variety of perspectives on the subject, which is reflective of the differing experiences of people. Participants in the MOOC shared links and comments in the OKMOOC Diigo Group, the Twitter #OKMOOC platform, as well as in the OKMOOC Google Community. It was this connecting, sharing and linking that greatly enhanced the learning experience, and I met many wonderful colleagues and made new connections. Connected Learning is what a MOOC is all about. I created the above image for the Open multimedia searching exercise, where we learned how to search for images and media, and find out what rights were granted (if any) in re-using the image. I found this image through Google images, advanced search, using the search term “open culture”. The image is available under a Creative Commons licence to Share (copy and redistribute the material in any medium or format) and Adapt (remix, transform, and build upon the material for any purpose, even commercially). The original image was created by Sweet Trade Photography, entitled “The world is made up of different cultures” and I used Picadilo to modify the image and add the caption. One of my all time favourite people, Lawrence Lessig, made his appearance in the course (no course on Open Knowledge would be complete without Lawrence! ), and thoroughly enjoyed his TED presentation, which was included in the courseware here. John Willinsky joined the course, adding his insights into open access in the academic world. His seminal paper on this is here and his video lecture is here. In addition, he gave a really great reply to my question in the Ask an Expert section of this module. Next, we were introduced to Open Science, a part of the Open arena that I had not come across before, and I was most impressed by Tim Gouwer’s video lecture here. We then entered the OER (Open Educational Resources) field, and while on the one hand, we have the enlightened Cape Town Open Education Declaration, at the same time, we have the depressing development that the South African government is considering a Single Texbook policy for schools in South Africa, which is really difficult to understand when there is a wealth of freely available open education resources that can be downloaded from the Internet. The course then covered areas I am somewhat familiar with, being a former librarian, including Archives, Databases and Encyclopedia: evaluating open collections and reference resources; Scholarly publishing and communication and Information Literacy and how to deal with data overload and create filters. I was really impressed that Stanford then took into account the digital divide, and included a module on Global perspectives on Equity, development and Open Knowledge and was also highly impressed with Susan Murray’s answer to my question regarding African scholarship, specifically, in the Ask an Expert section for this module. As I have now run out of time, I skipped ahead and completed the final module on The Past and Future for Open Knowledge and can only agree that the Future IS Open Knowledge. In summary, I found this course to be outstanding, and I would highly recommend it to anyone in any field who works with information. The only caveats I would add is that one does need a LOT of time, and also bandwidth to watch all the videos. I commend Stanford for making their videos low resolution to accommodate the limited bandwidth quotas and speeds that some of us have to work with. Although I have been tracking Open Access for a long time – being one of the first to present a paper mentioning Open Access in Cape Town back in 2005 (and the feedback I received from the top library leaders of the time was that the paper was “too radical”) !!! – I still learned a whole lot more about the developments in this area around the world. 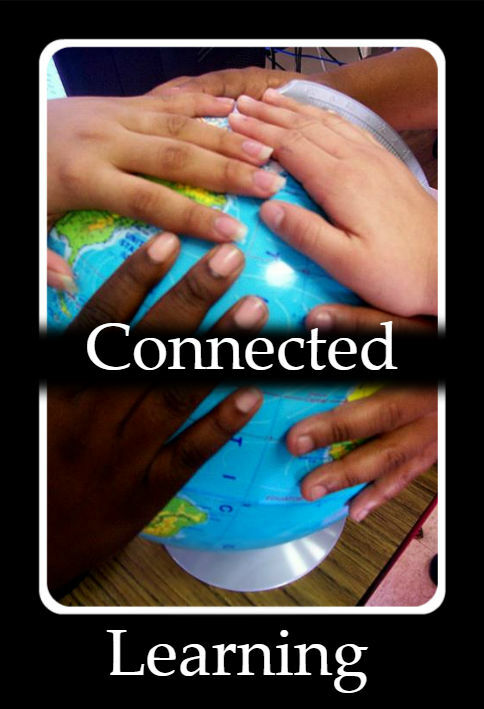 I LOVE globally connected learning and networking, sharing ideas and knowledge and co-creating with colleagues from all around the world, it is the BEST way to learn, to get broader perspectives than just one’s own narrow locale. So, if you would like to experience a complete paradigm shift into a whole new, better way of living, working and lifelong learning, I would highly recommend enrolling in this course when they next run it. This entry was posted in Lifelong learning, Open Knowledge and tagged Lifelong Learning, MOOC, Open Knowledge, Stanford University. Bookmark the permalink. Hi Kim – good summary of events. I am getting a little behind. Hope to catch up today. Dear Kim- you seem to have invested a lot of time in this project. Well done and thanks for reminding us about the wonderful journey we took over the past weeks.